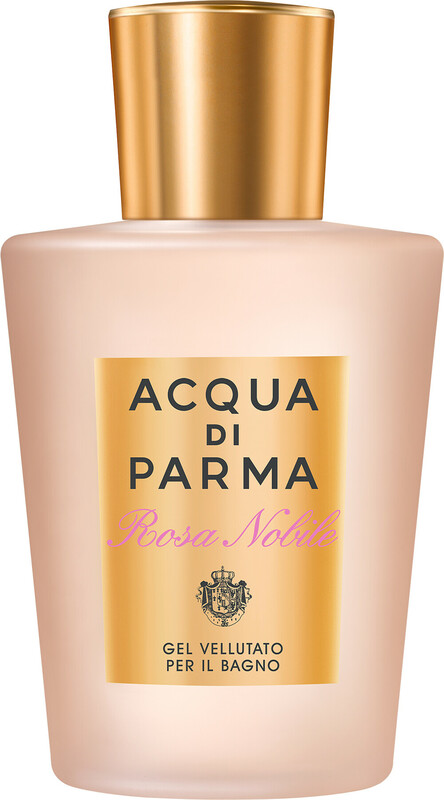 Enjoy an indulgent bathing ritual with the Acqua di Parma Rosa Nobile Velvety Bath and Shower Gel, a luxurious body cleanser that will truly pamper your skin and your senses. The decadent cleanser is formulated with a nourishing blend of silk proteins and pro-vitamin B5, which respects the skin’s natural balance and leaves the skin feeling soft and smooth. After use skin is decadently soft, smooth and deliciously scented. The pearlescent formula is infused with the romantic notes of Rosa Nobile, allowing you to enjoy its uplifting, blooming notes while you bathe. 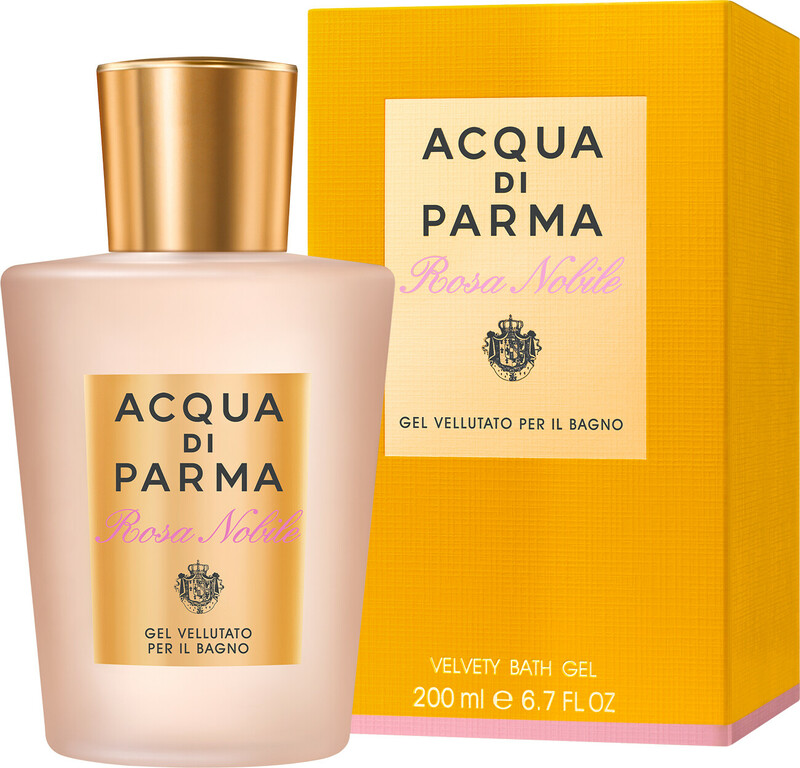 Acqua di Parma Rosa Nobile Velvety Bath and Shower Gel 200ml is rated 5.0 out of 5 by 2. Rated 5 out of 5 by Finolafoam from Beautiful fresh rose fragrance Lovely light shower gel with feminine rose fragrance. Rated 5 out of 5 by nagmad61 from Another winner I love Rosa Nobili perfume so it was only sensible to have the bath gel too. Perfect pair for day long fragrance.